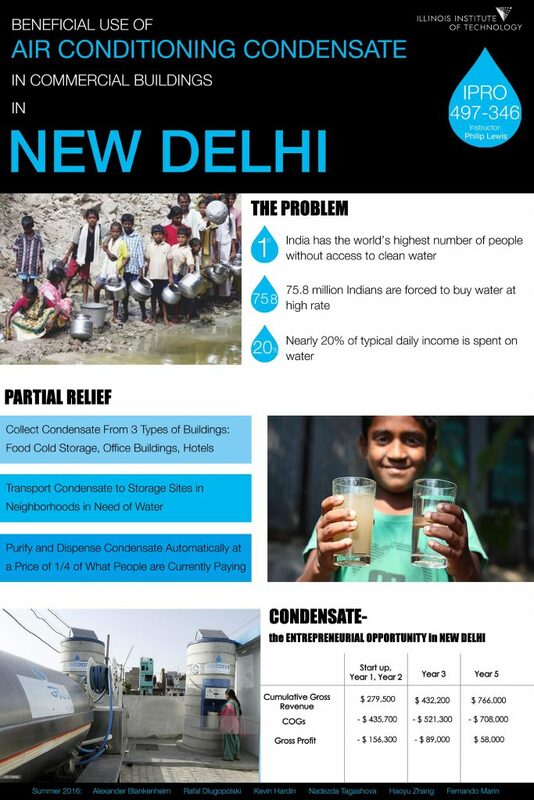 This project focuses on the lack of clean drinking water in India. 75.8 million residents of India are forced to spend nearly 20% of their daily income on purchasing fresh water. The proposed solution to this issue is collecting condensate from food cold storage, office, and hotel buildings, and transport it to neighborhoods in need at a quarter of the cost of current water prices.